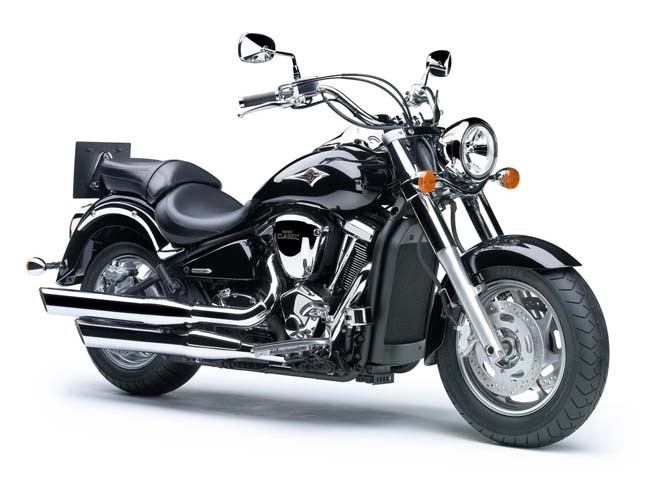 Riders looking to harness the awesome size, power and performance of the Kawasaki Vulcan® 2000, but seeking a more traditional “cruiser” style, need look no further than the Vulcan 2000 Classic. A traditional-style headlight, “buckhorn” handlebar bend, a plush passenger seat for increased comfort and several smaller details are coupled with the same brawny features found on the Vulcan 2000. Complimenting its traditional good looks, the Vulcan 2000 Classic’s massive V-Twin cylinders feature a black matte finish with polished cooling fins that provide a dramatic contrast. A push rod design reduces the 125 cubic inch engine’s height, which directly contributes to the 2000 Classic’s low center of gravity and relatively low seat height. Cruiser enthusiasts will appreciate the classic V-twin sound emanating from its dual polished mufflers, thanks to its single-pin crankshaft, while dual counter balancers and rubber engine mounts keep it running smoothly. Sub-throttle valves and fine atomizing injectors help the Vulcan 2000’s fuel injection provide a smooth, linear power band with increased power and optimum fuel economy. 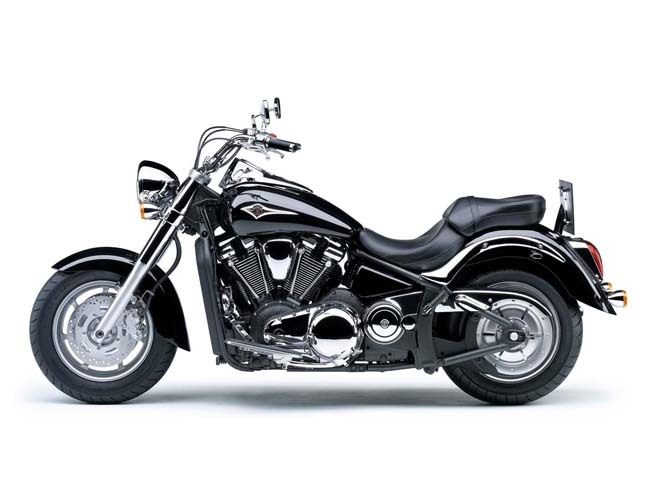 The Vulcan 2000 Classic rides on bright, cast aluminum 16-inch wheels with a 150/80 front radial tire and a wide, 200/60 rear radial tire. Dual 300mm front disc brakes with four-piston calipers and a single rear disc brake with two-piston caliper bring this big cruiser to smooth, powerful stops.